Video marketing is the most persuasive media to engage viewers, build brand awareness, and earn customers. According to HubSpot research, “Video on landing pages is capable of increasing conversion rates by 80%, and the mere mention of the word “video” in your email subject line increases open rates by 19%.” Our video production team creates stories that bring life to your brand, your product, and your people. Our video production and marketing strategy teams work closely with your company’s objectives. Our teams familiarize themselves with every aspect of your company, from brand to product-knowledge and target audience to customer adoption process. Videos are created with your objective and audience as the driving forces behind every decision, leading to a detailed and strategic production and campaign plan. Videos are great, but viewers are better. Our strategists focus on finding the best platforms for your videos to reach your audience. Then we optimize placement to drive traffic while tracking all views and ROI so you know video was the best choice in achieving results. Lighting design, camera movement, and directing all work together to tell the story and capture the most engaging footage. We shoot on location, in your office, or in our studio. Videos can feature your company’s own talent or we can hire professional actors. We know how to direct anyone and capture the best performance. Once we capture the best scenes, our team begins stringing the story together, finding the best pacing, and adding the post-production necessary to complete the final video. 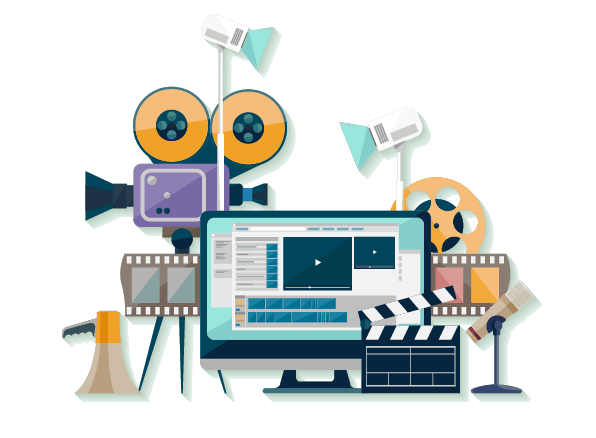 Whether your video requires music, voice over, titles, or animation to polish the story, our team can create video to inspire viewers and gain customers. Your company and employees offer more than a product or service—you offer an experience. Brand videos offer current or future clients an inside look into your company’s culture and client relationships. Brand videos build trust and gain recognition. Over 70% of consumers age 21-40 want a brand to build an emotional connection to its audience. Client testimonial videos offer prospective clients an insight into your company’s processes and working relationships. While written quotes are great blurbs, testimonial videos take viewers on the client’s journey from finding your company to the final product. Eight times more people viewed the Inspired Closets testimonial we created than the average still image. Some products require a bit of instruction for users to get the most value from them. Our tutorial videos can be detailed and paced for the amateur or the expert. Tutorial videos range from product demonstrations to step-by-step software education. Video tutorials are one of the most viewed genres on YouTube with 70% of viewers using the platform for self-directed learning. Commercials sell an idea while product videos advocate for the entire product or service. Like commercials, product videos entice viewers with story, but convince and convert by illustrating real world applications and demonstrating value to new or prospective adopters.